We have some news for you Ladies and Gents today! Boue hair is mesh rigged, therefore can’t be repositioned or resized. Svelte guy, meant to fit male skinny avatars, included. 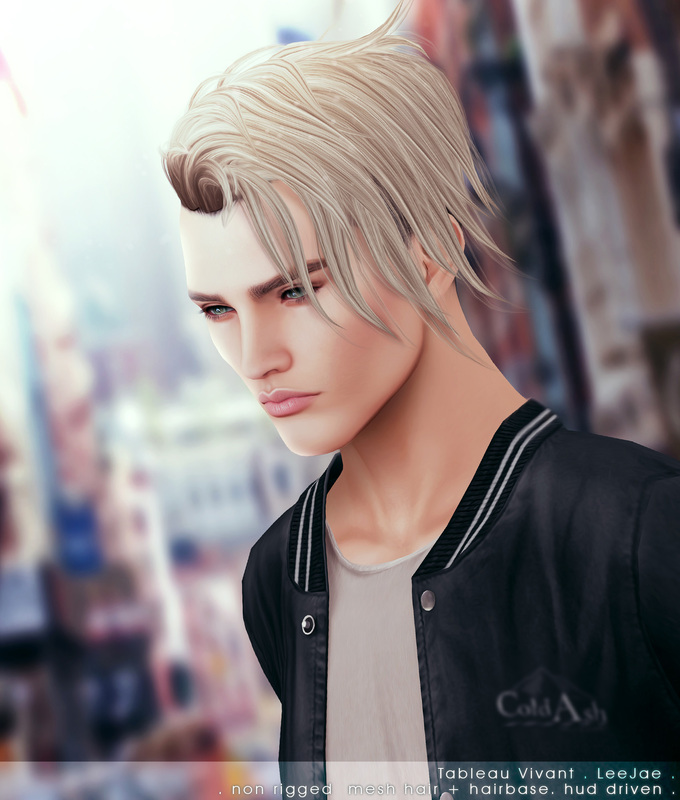 Our release for The Mens Dept is side parted undercut hair, LeeJay, available in our Frizzy chic huds selection with hairbase. Last, our medium-short hairstyle for C88! Jade hair is mesh non rigged therefore can be repositioned and resized, either manually or via XYZ resizer (click to activate menu). 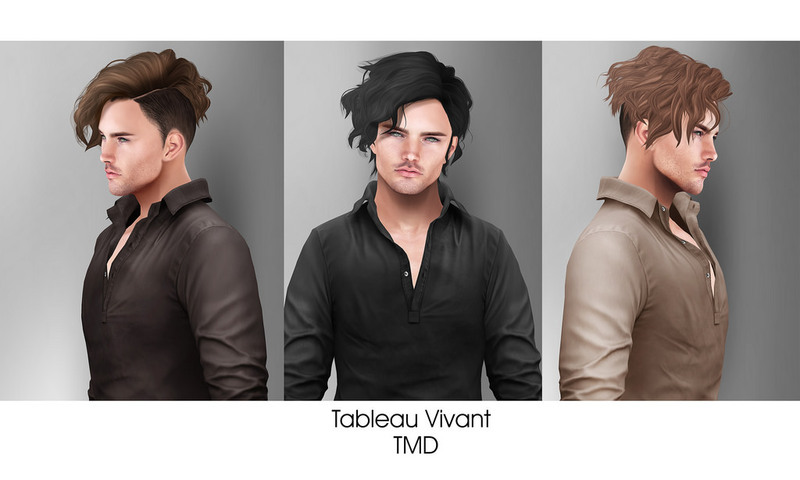 Tableau Vivant is excited to be in the anniversary round of We ❤ RP and also in the latest round of The Mens Dept. For the anniversary round of We ❤ RP our tribute goes to Game of Thrones with hairstyles inspired by Cersei Lannister. Long, regal and two styles. Please remember to try the free demo with your favorite AO/poses before any purchase. Happy Anniversary to a fantastic event! Now on to The Mens Dept. Three brand new styles – Ors, Seb and Ton. Hair is mesh non rigged therefore can be repositioned and resized, either manually or via XYZ resizer (click to activate menu). It’s offered in our new special line ‘Frizzy Chic’. Please remember to make a copy of the hair before to proceed. Please be sure to visit our Redelivery Terminal if you have any issues with your purchase delivery.